It’s been a busy week in the sewing room, mostly filled with little zipper pouches. I’m not finished with them yet, I have a few more different styles I’d like to try. 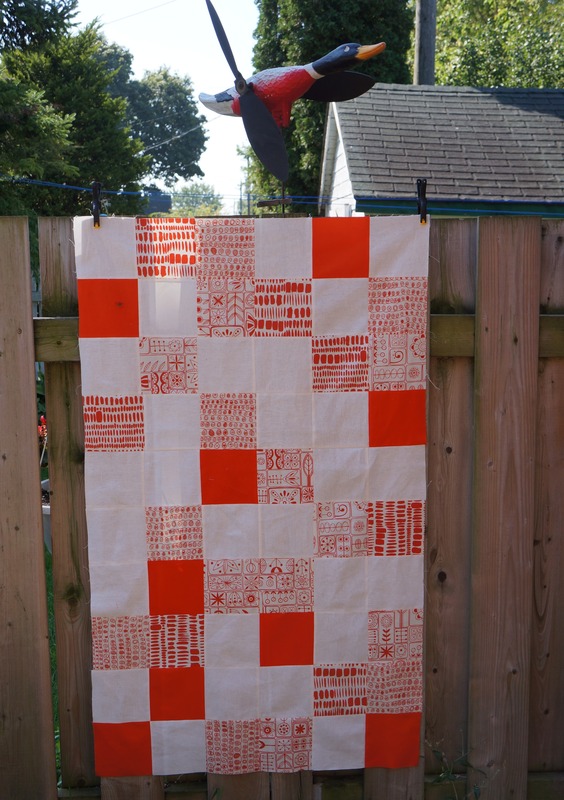 I signed up for the new Craftsy class with Elizabeth Hartman, Inspired Modern Quilts: 7 Small Projects with Big Style and immediately started on the Scattered Squares quilt. I adjusted my version as I was making it for our coffee table. Instead of the individual squares being 3.5″ x 3.5″, I made mine 5″ x 5″ to fit our table. I need to add a single border at the top and bottom, not the sides, for my specific purpose. Turns out the colours are not quite right and doesn’t work in that space. Next week I intend to make a few other projects in the Inspired Modern Quilts series and perhaps create something that will suit our living room better. 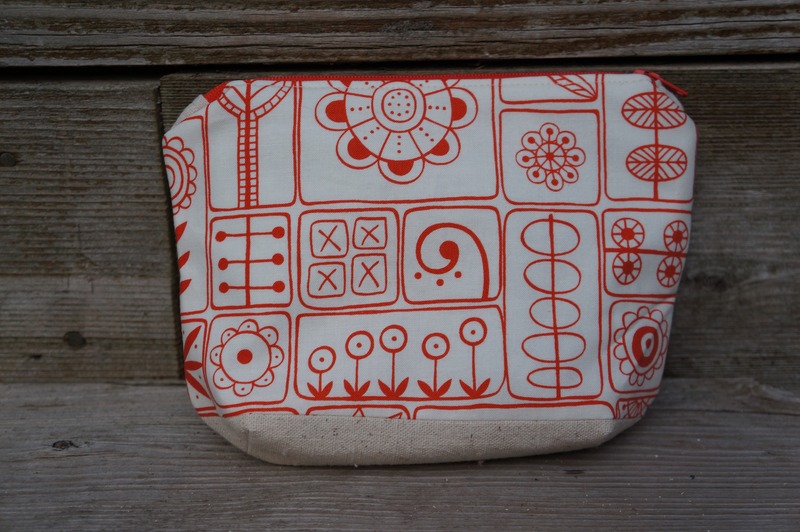 I started the week working on Michelle Patterns pouches and eventually developed my own style, a red and camel coloured pleated zipper pouch which, I think, turned out quite well. 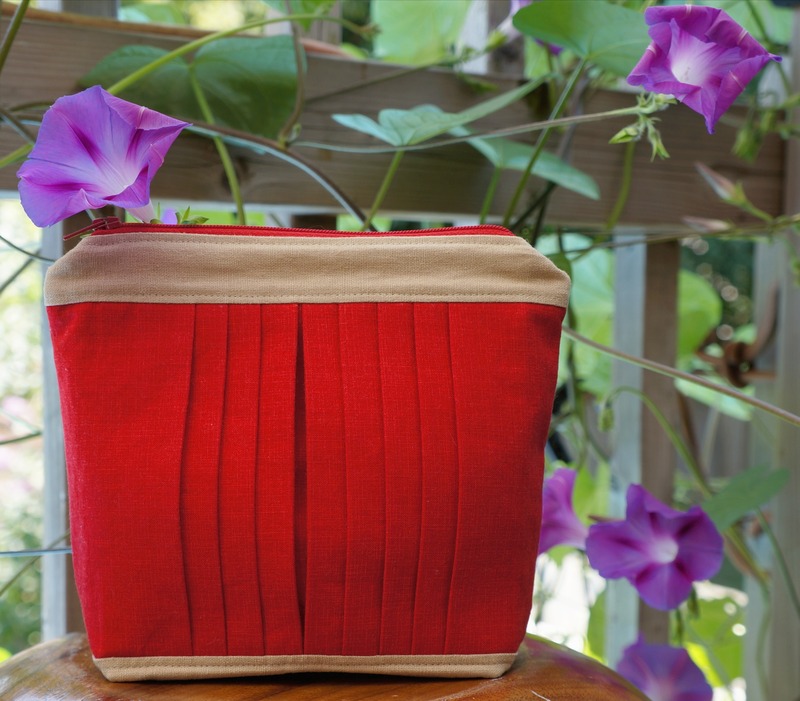 I also wrote a tutorial on how I create the pleats for this pouch. I wrapped up my Thursday by making a Triple-Zip Pouch from A Quilter’s Table tutorial and a simple curved bottom pouch of my own design. I think Summersville Metro Floral in Orange Zest and Joel Dewberry’s Herringbone in pond are my new favorite fabric combination, I love how the blue pops. This entry was posted in Craftsy, Fabric, Quilting, TGIFF, Zippy Pouch and tagged Joel Dewberry, Summerville by Tabatha. Bookmark the permalink. Love your Summersville pouch! I need to try these for Christmas gifts! I like the colors on the quilt even if they dont match what you wanted it for. Thanks for all the links to the pouch patterns as well. Thank you so much for linking your finishes up to TGIFF!! 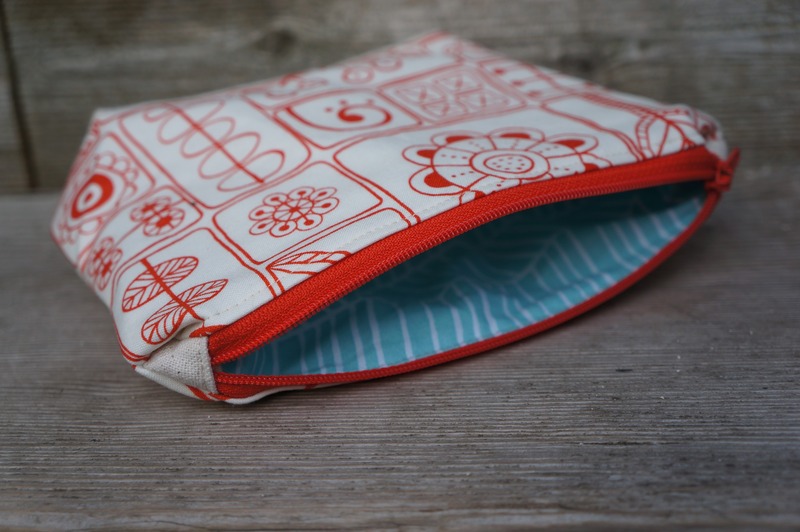 I am loving the triple zip pouch – it is on my list to do. That Joel Dewberry fabirc is one of my all time favourites!! Yum! !